Scope and Content Alloa Station, Alloa, Clackmannan This station was originally opened in 1850 by the Stirling & Dunfermline Railway, which was completed to Stirling in 1852. It subsequently became a junction for a line to Kinross, and, in 1885, for a branch to Larbert. At about that time the station was rebuilt. This shows a diesel railbus at the main east-bound platform, having arrived on a service from Larbert. This was one face of an island platform in a cutting, reached by a footbridge. 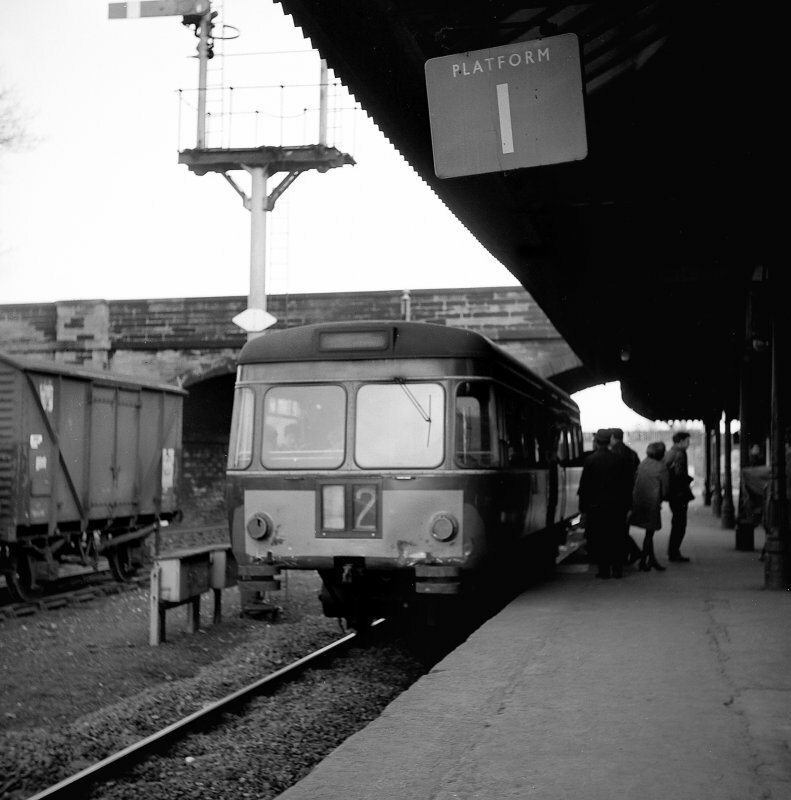 This photograph was taken on the last day of services to Alloa on 29 January 1968. The railbus was one of a series introduced in about 1960 for services on lightly-trafficked lines. This was one of the last services operated. Alloa Station closed at the end of 1968, and has since been demolished. Source: RCAHMS contribution to SCRAN.